Today, the other man in my life is celebrating his birthday. No, not The Hubs, or even Jamie Redknapp My Second Husband. It's my handsome, gorgeous, aeroplane-obsessed nephew Ethan who is 9 today. The day he was born was when my little brother stopped being the baby of the family and became a dad, a rather brilliant Dad too, I have to mention. 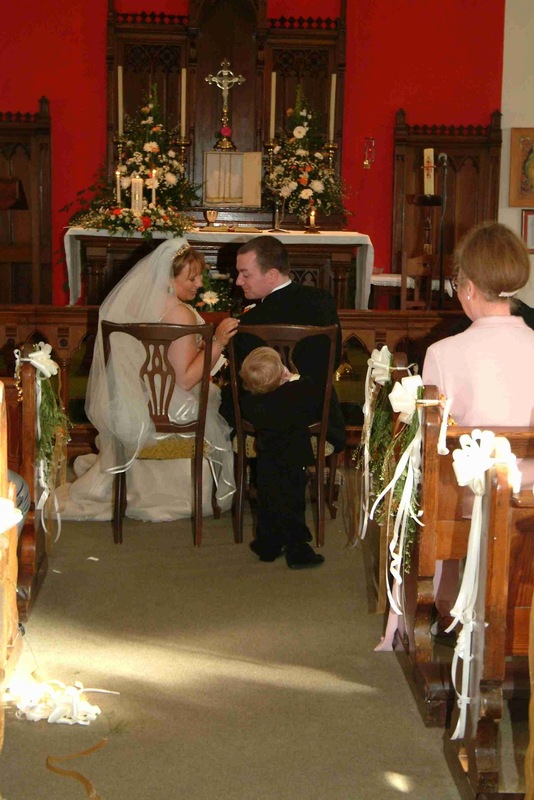 Ethan has always had me wrapped around his little finger - he was the littlest member of our wedding party, aged just 20 months in a grown up suit but with a soother firmly jammed in his mouth. He's on our wedding video making a break for freedom as Fr. Gerry was trying to marry us - cue me racing across the church to grab him because I knew he'd kick off if a stranger tried to stop him in his tracks. 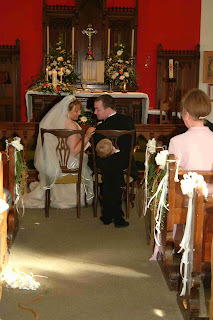 We did eventually get married, once I had handed him back to his Dad... He also went on the rampage at his little sister's christening, running around the altar while Fr. Gerry (that poor man) was in full flow and it took two of us to corral him and to try to stop him from blowing out all the candles in the church. He's all grown up now, but he's not too old for a sneaky cuddle on the sofa when he thinks nobody's looking and he loves looking at the photos of food on the blog, even going so far as asking me how I make certain things (the things he wants to eat...). He saw a photo of Sarah's Celebration Cake and his eyes lit up, however he was very clear that it was far too girly for him. I mentioned that I could make the icing blue and he told me he'd love Maltesers all over it, so a plan was hatched. It's exactly the same as Sarah's cake except I changed the icing slightly... using white chocolate and a drop of blue gel colouring to make it bright, bright blue (described as the colour of exploding Smurf). All you taste is smooth, creamy white chocolate icing, even though the colour is sending your brain in a completely different direction. The Birthday Boy was very pleased indeed with his cake, eating a slab approximately the size of his head... his cousin Lulu has already requested "the same but in purple please"
Thanks a million - it was a massive hit with the kids! Now that is what I call a Lads cake.I enjoyed the journey about the cake too. Well done. Love the icing, it's so bright! Wat was the name of thefood colouring u used n where did u purchase i cant get the gel ones anywhere ? ?